Microsoft SharePoint boasts of a robust feature called Enterprise Search which enables multiple indexing, extensive content repositories along with a comprehensive set of querying capabilities. The reference points to a system capable of serving a whole range of users that require anything from a deep search to looking up simple facts whilst supporting business processes with customised search functionality. This approach facilitates ease of access to relevant data. The Enterprise Search feature by Microsoft SharePoint supports full-text searches through SQL query syntax along with supporting keyword level searches using new keyword syntax. These search parameters can further be customised based on an organisation’s needs. 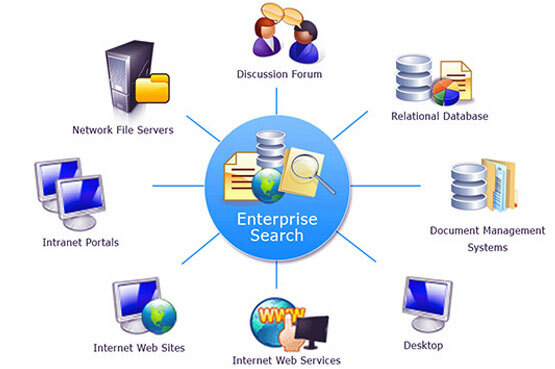 The configuration of Enterprise Search involves creating managed accounts that are required for search and search service applications, creating Content Sources and Search Centers including search enhancement. Enterprise Search also allows customisation that enables search of search, content gathering along with enhanced querying abilities.